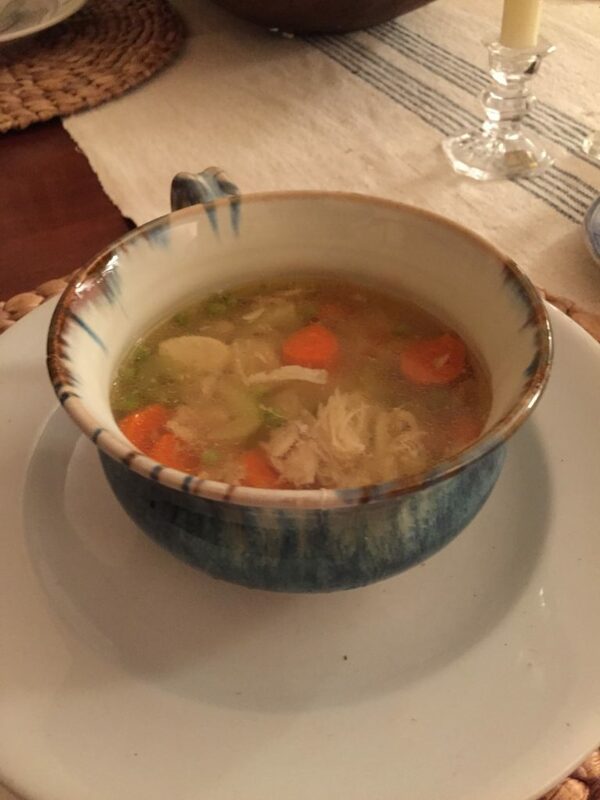 It was a rainy day here yesterday and one of my little ones was home sick with pneumonia, so it just seemed like a homemade chicken noodle soup kind of day. I hope you don’t mind me stepping away from the home decor and furniture makeovers for a moment and sharing with you one of my favorite recipes. 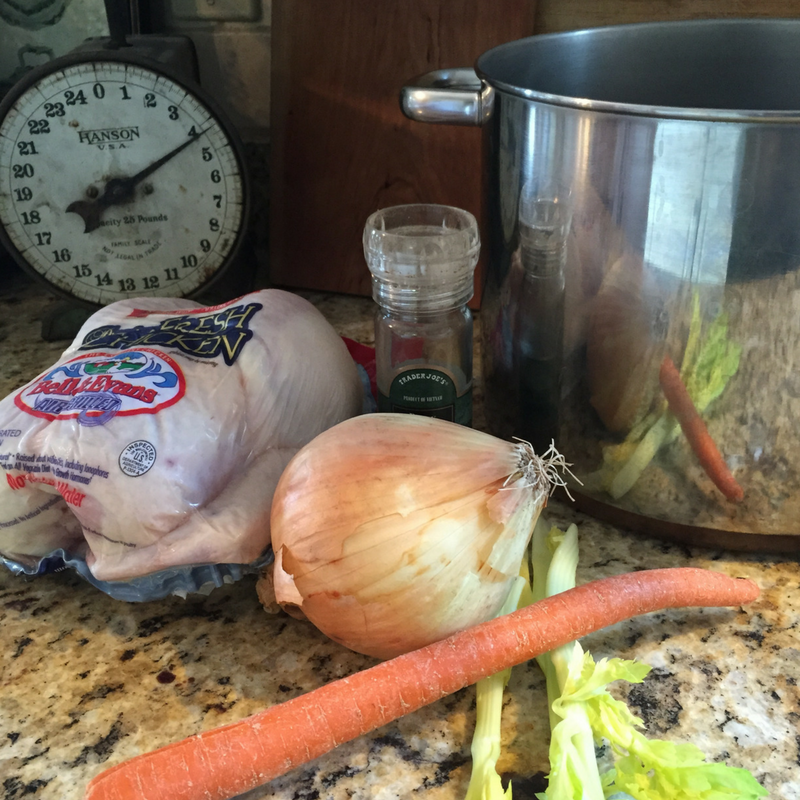 First place the chicken in a large stock pot and fill with water until the chicken is covered. Then add one peeled carrot, center celery stalks with leaves still on (these are usually smaller and I add about 3), a peeled whole onion and about ten whole peppercorns and 2 tsp. of salt to the pot and place on the stove on high heat. This is when I make and add a bouquet garni which is a small pouch of herbs that add flavor to the soup. I made a short video explaining how I do this. 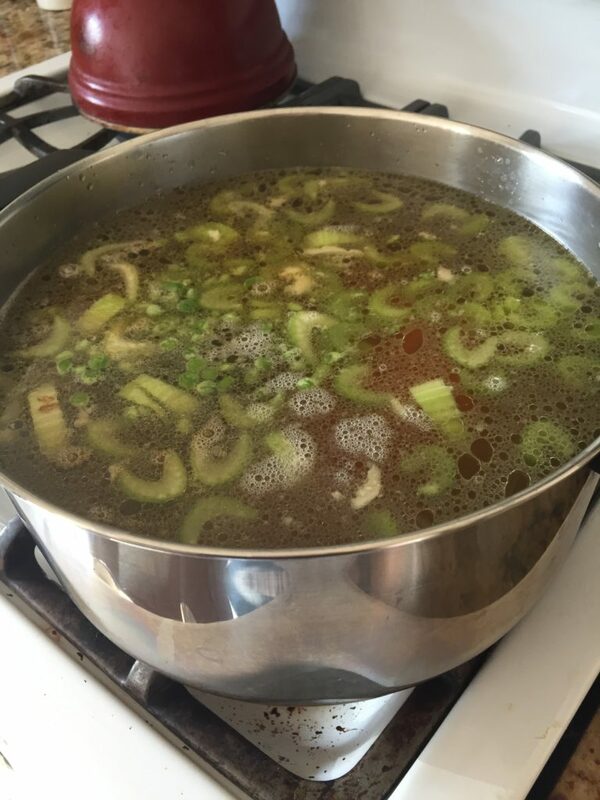 Let the pot come to a boil and then reduce heat to continue simmering. 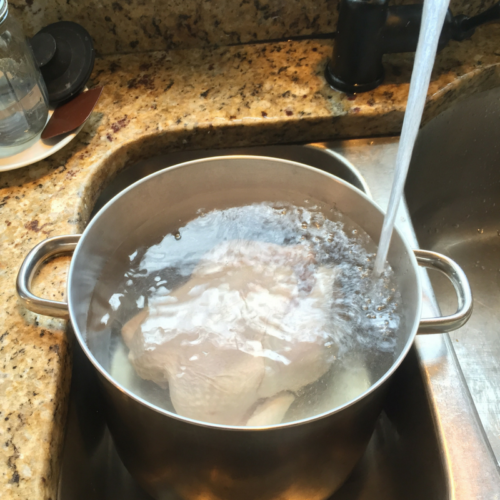 I usually let it simmer for about 3 hours or until the chicken is falling off the bone. At that point I remove it from the heat and let cool a little. I remove the chicken and cut it into small pieces, removing all bones and skin. I strain the rest of the broth through a fine mesh strainer into another stock pot, removing all vegetables and bouquet garni and discarding them. 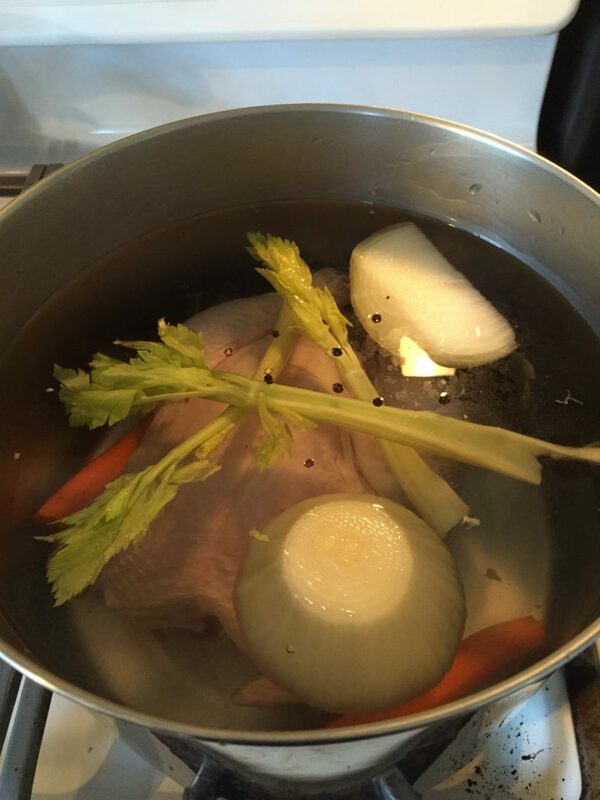 I then add to this broth – the peeled and diced carrots, diced celery, peas, noodles, diced chicken and additional salt to taste.